We are thrilled to announce FieldLogix’s new feature, Vehicle Vitals. 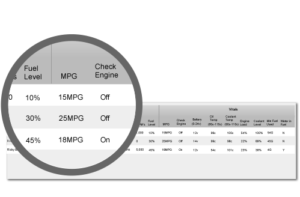 Now, businesses are able to enhance their vehicle’s lifespan by successfully monitoring certain aspects of the engine and device well-being. With these important vehicle analytics, management can readily keep track of their vehicle’s conditions to further prevent any unnecessary damages to their vehicles. By taking advantage of these Vehicle Vital reports, businesses can save time and money from labor costs and vehicle costs. To learn more or to receive training on any of our features please contact us at learnmore@fieldtechnologies.com< or at (888) 803-0200.